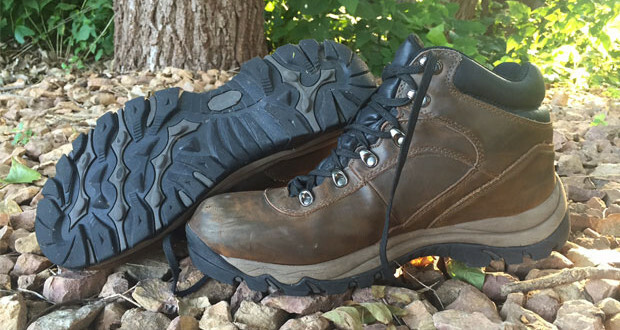 Summary : A great waterproof, mid-hiker for weekend warriors on the trail or pavement. I’ll be the first to admit that I have big feet. It’s something that’s plagued me most of my life. Even the thought of going to the mall shoe shopping gives me pains in the pit of my stomach. 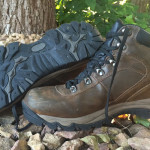 Many times I’ve found a pair of hiking boots that I fall in love with, only to find that they don’t have my size – or even worse, do – only to discover that the boots themselves aren’t true to size. 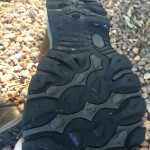 Whenever I start down the path of a boot review, feelings of excitement often become overshadowed with anxiety that my feet are going to get in the way. 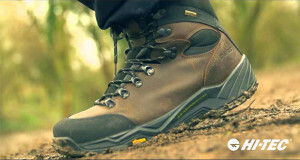 I’m pleased to report that during the testing and review process of the Northside Apex Mid boots, my feet definitely didn’t get in the way – and actually were treated to a great experience. 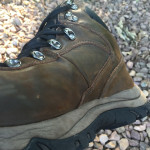 I’m always on the hunt for a pair of hiking boots that can double as a day-to-day shoe for work. Granted, I’m not actually going to wear them daily – but definitely a few times a week. The Northside Apex Mid is a great looking boot. 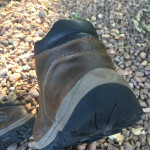 My boots are finished in a distressed brown leather that when combined with a pair of jeans gave the appearance of a business casual boot – without loosing their outdoor appeal. About a month ago, I brought the boots along for a weekend camping trip that brought more rain than sunshine. When we arrived on-site, I traded in my sandals for my Apex Mids to get camp set. 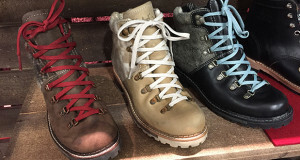 The way that the tongue is attached to the boot is pretty unique for a leather upper boot that retails for less than $70. It’s waterproofed, and actually wraps around and is fully attached to the upper. 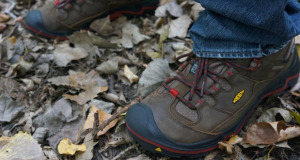 The outsole is rugged and designed to keep you upright. Even in a full on monsoon (alright, I’m exaggerating a little) I felt confident that I wasn’t going to end up face down in a mud puddle. They performed beautifully. I can honestly say that these boots have become just what I hoped they would. I’ve been wearing them a few times a week for the past 3 months. 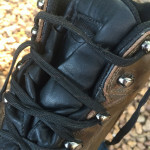 They’ve held up, continue to become more comfortable – and have traveled all over the country with me. If there’s one criticism, it’s this – they’re warm. Not “hot,” but warm. Because of the waterproofing, they hold heat. However, I’m willing to sacrifice heat for a boot that I can wear in the rain. I’m looking forward to the upcoming winter months in Minnesota – as I think they’re going to perform great. To learn more, or to purchase click here.